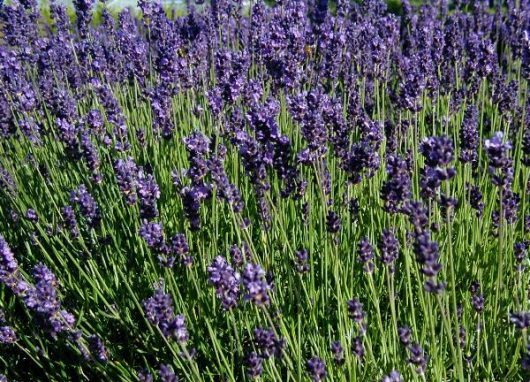 English lavender has silvery gray, aromatic foliage topped in summer with lavender-blue to dark purple flowers on long stems. This common but fragrant plant does best at the base of a warm, sunny wall or in a container. Grow in moderately fertile, well-drained soil. SKU: ENLAV01. View our Return & Refund policy.